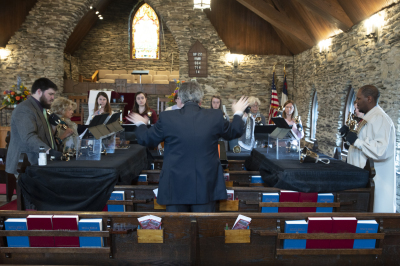 Rumple offers music programs for all ages and many interests. For more information on any of these, please contact David McCollum, Director of Music, at 295.7675. 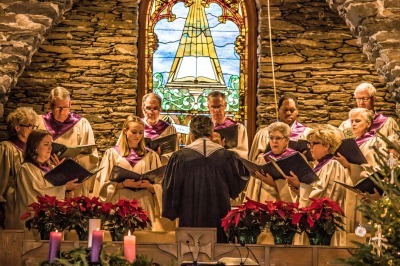 Sanctuary Choir is directed by Music Director David McCollum and accompanied by Eric Luke. This group of high school youth and adults of all ages leads music in the 8:45 (May through October) and 11:00am worship services each Sunday and provides music for special services throughout the year, such as Ash Wednesday, Maundy Thursday, Christmas Eve, Easter sunrise, and an Advent/Christmas music service of worship in mid-December. Rehearsals are Wednesdays from 7:00 to 8:15 pm. in the Keys Music Center. We often include guest instrumentalists--brass, strings, guitar, flute--to accompany our anthems. 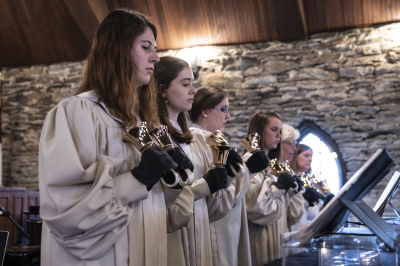 Rumple Ringers, our handbell choir, includes middle and high school students and adults who play our 3 octave set of Malmark bells and chimes during worship services numerous times throughout the year. Occasionally we accompany the Sanctuary Choir for anthems. KICKS Choir is for children in Kindergarten - 5th grade. They rehearse each Wednesday during our KICKS and Fusion program. They sing throughout the year in worship. 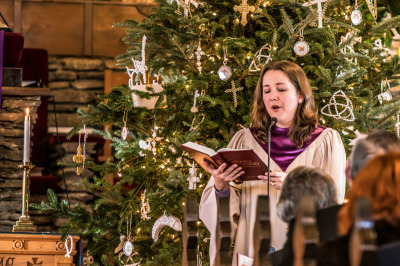 Mary Jane wrote a beautiful piece that was shared during one of our Christmas Eve services. If you would like to read the lyrics again, she has given us permission to share them on the website. Click on the box below to view the lyrics. During the summer and fall, we had the wonderful gift of duets with Leslie Novilla and Eric Luke. On Sunday, November 11th, Leslie, Eric, and former accompanist Johnathan Asbell played a beautiful trio together. Enjoy this special piece (recorded by Jim Nelson).